With an abundance of large wild animals on show at the Bioparc it is easy to forget all the bird life that are on display, aside from the ones in the midday exhibition. 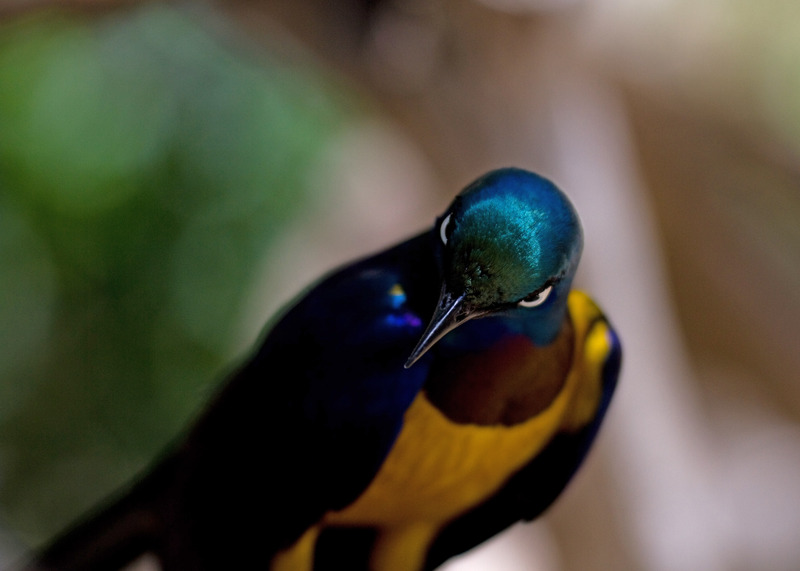 One of the best areas to see birds is in the aviary. In this large enclosed space the smaller birds are free to fly around as they please and have become accustomed to the visitors allowing you to get very close to them. Feeding time is at 1.30pm each day, so after a short visit in the morning I returned to watch them feeding. 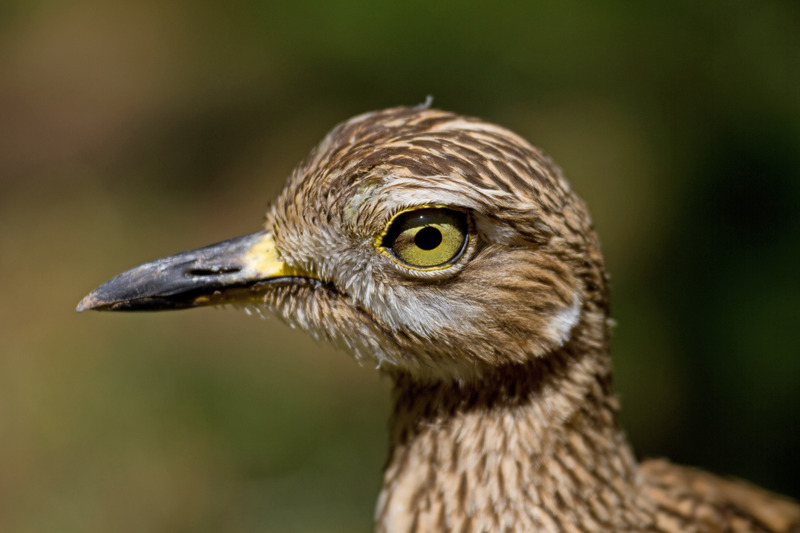 One of my favourites is the Cape Thicknee (Burhinus capensis) also known as Spotted Thicknee. 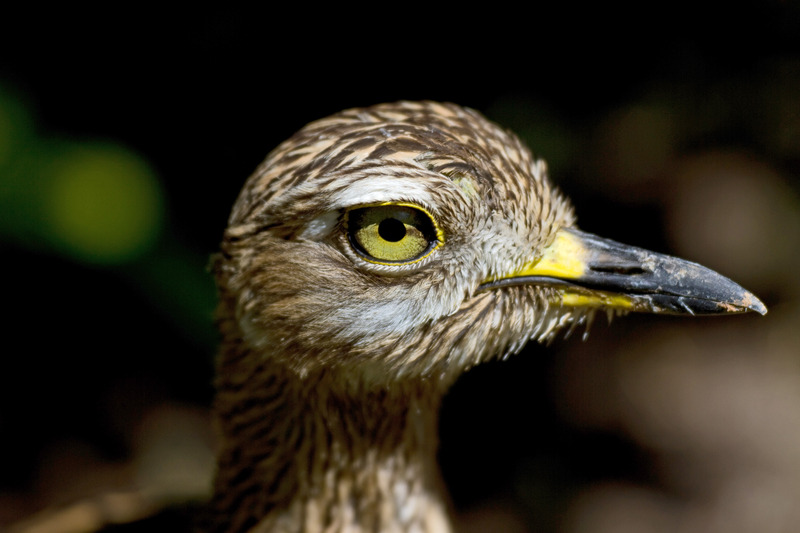 A curious bird due largely to its long legs and large yellow eyes. This one came up incredibly close to where I was sitting and happily allowed me to take numerous shots as it foraged for food. 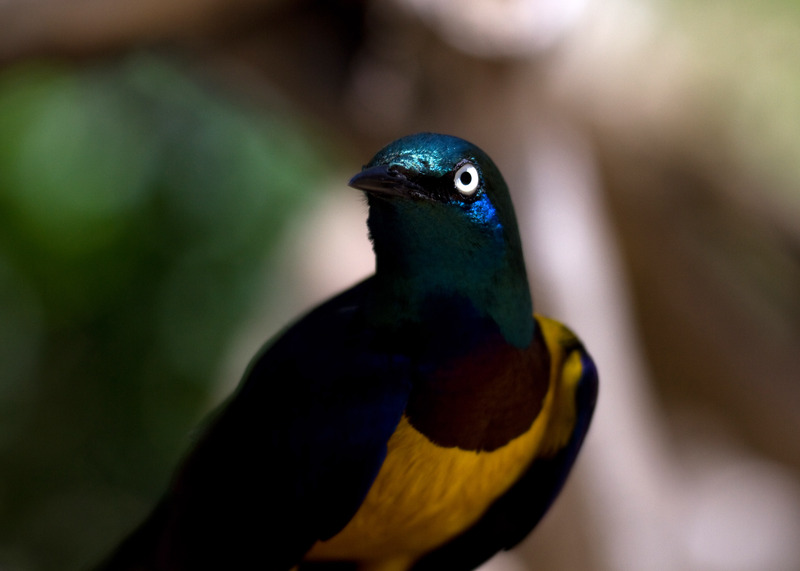 The most striking bird in the aviary by far is the Royal Starling (Lamprotornis regius), also known as the Golden Breasted Starling. The bright yellow belly and long tail are eye-catching, especially in flight. These tend to be more shy than the Thicknees but at feeding time I was still able to get relatively close and managed to get some good photos. From certain angles they have very evil-looking eyes, but are very attractive nonetheless. Unfortunately they were too quick for me to be able to capture one of them in flight. 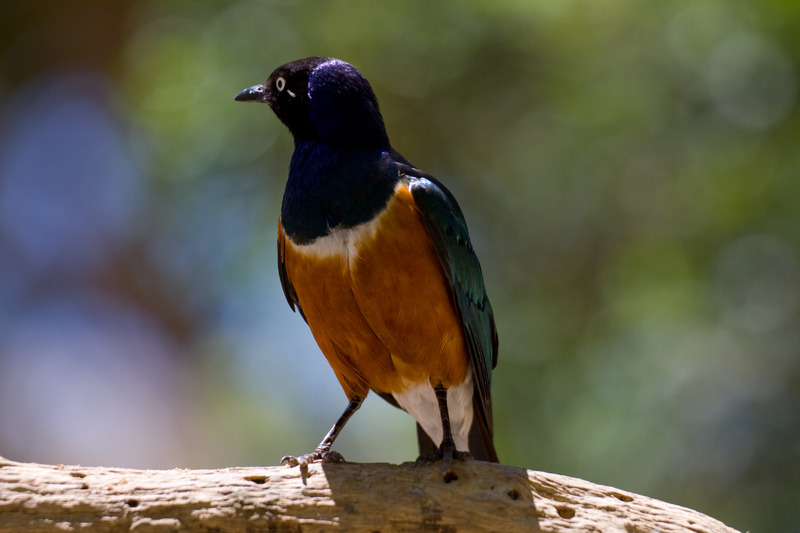 Also in the aviary are Superb Starlings (Lamprotornis superbus). 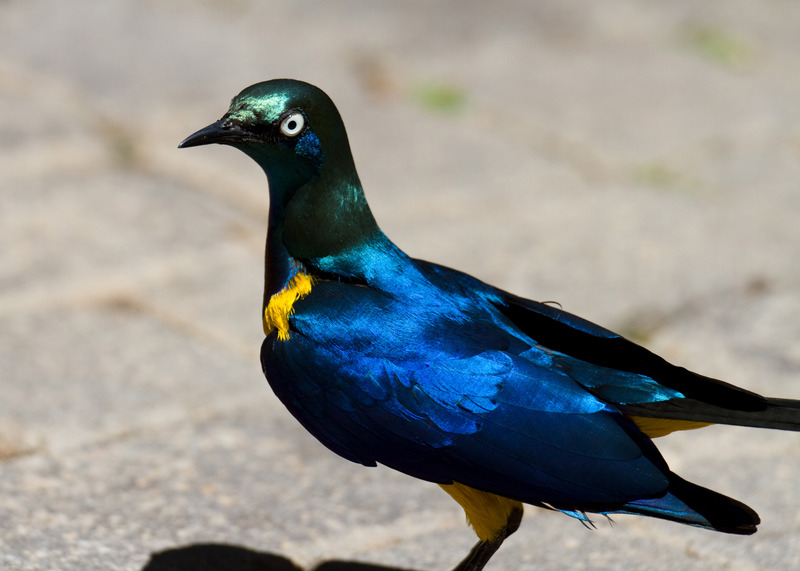 Not quite as striking as the Royal Starling but still a very pretty bird. These are less timid than their regal relatives and several came to within a foot of me whilst I was sitting, greedily picking up bugs to feed its young. Unfortunately this is too close for my camera to focus even with a macro ring attached but the photos certainly show them off. Not to be outdone by the Zebras and Giraffes, who have recently had babies. 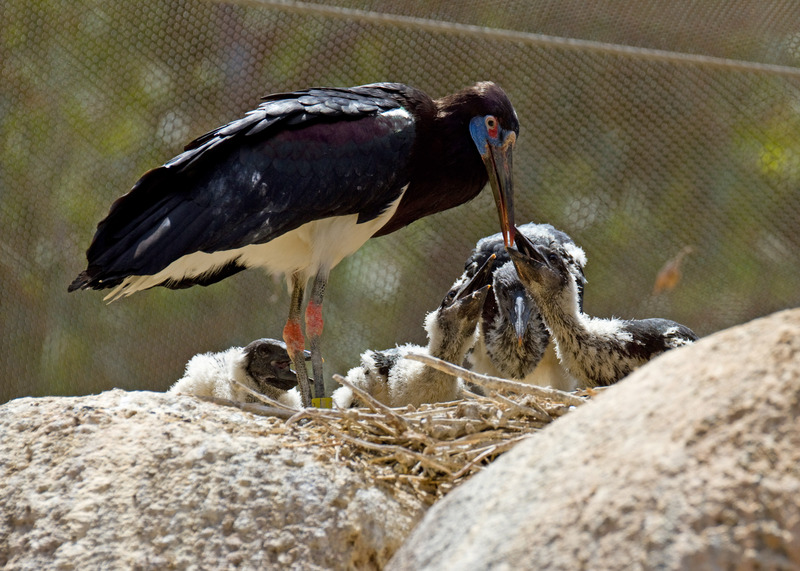 The Abdins Stork (Ciconia abdimii), also known as white-bellied stork, have produced two nests with 3-4 chicks in each. 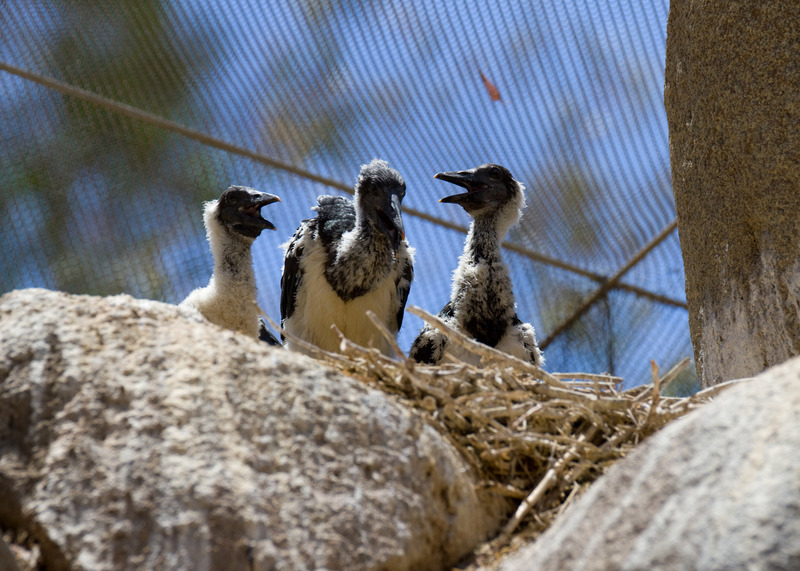 Among the smallest storks, this species is welcomed and protected by local African belief as a harbinger of rain and good luck. 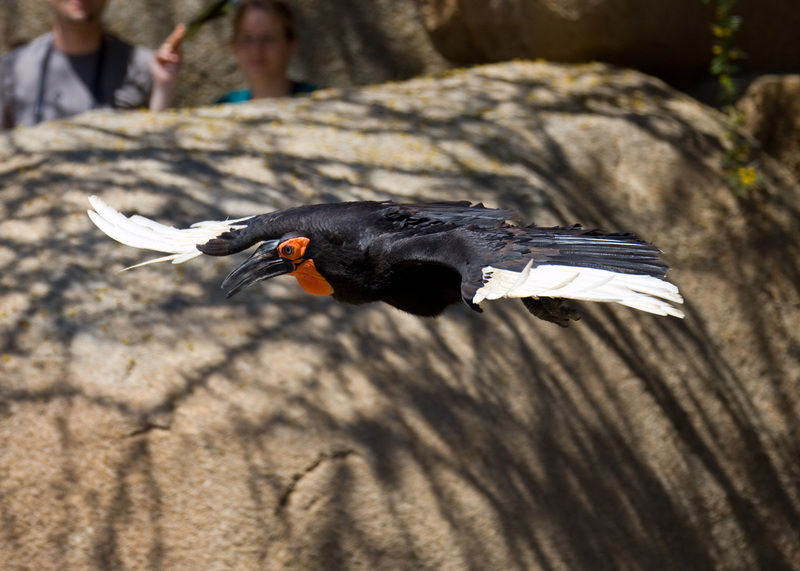 Despite their comparative small size, they are the largest in the aviary and are pretty impressive when they soar just over your head. 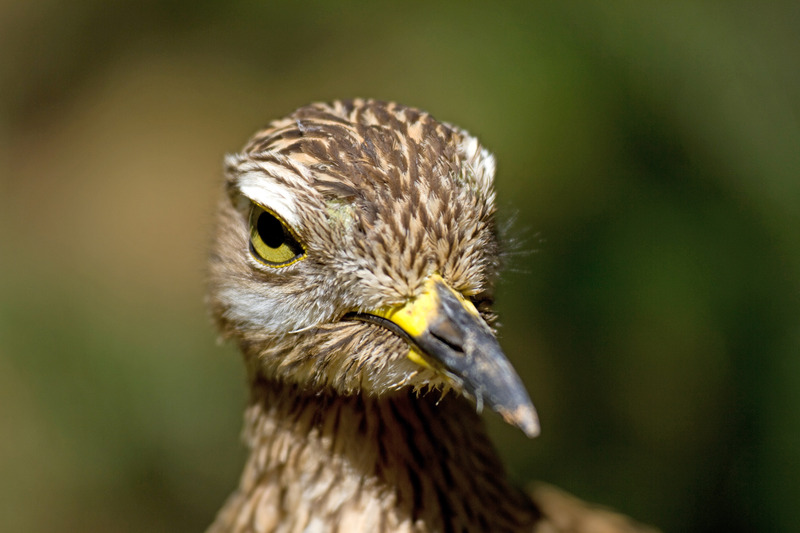 Other birds that are in the Aviary include the Hammerkop, Turaco, Speckled Pigeon and the Hadada Ibis. 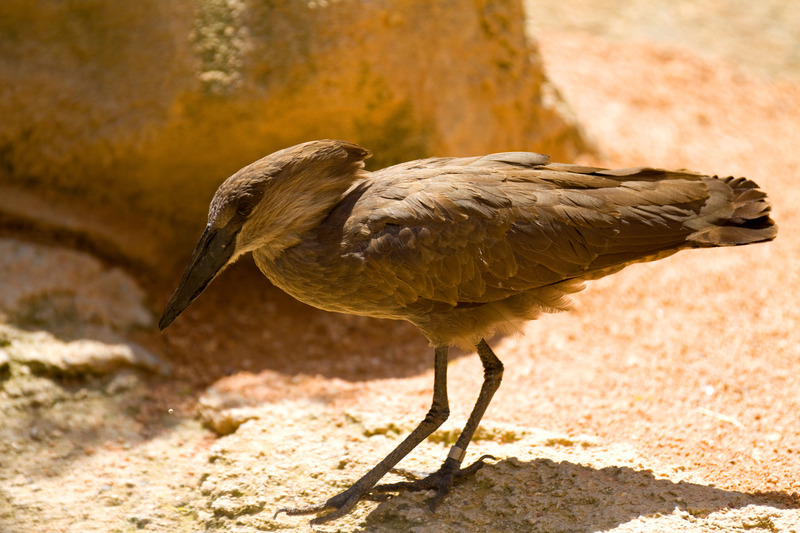 I managed to get a photo of the unusually shaped Hammerkop but the others were being very elusive today. The Turaco is particularly striking with bright green plumage and red under wings however he was nowhere to be seen. The midday exhibition as always is a must, I never tire of watching large birds in flight, particularly the birds of prey. The amphitheatre was packed with almost three quarters of the audience being school parties. For the first time ever, in my experience, this led to an interruption in the show to ask the audience to keep the noise down, as the children screamed and shrilled at the display. The show followed the usual format starting with low pass flights from a Tawny Eagle followed by two Eagle Owls who once again evaded my camera. 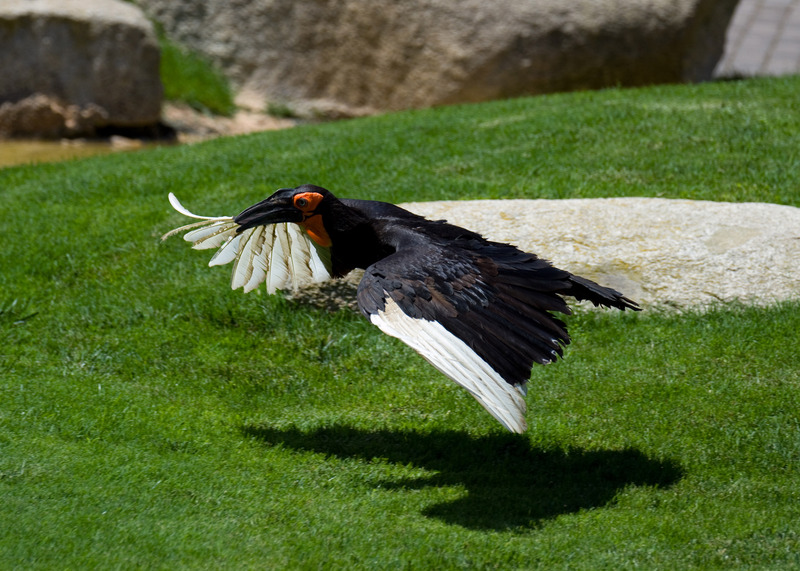 The next to appear is a Southern Ground Hornbill who pecks open an “Ostrich Egg” to gain access to the contents. 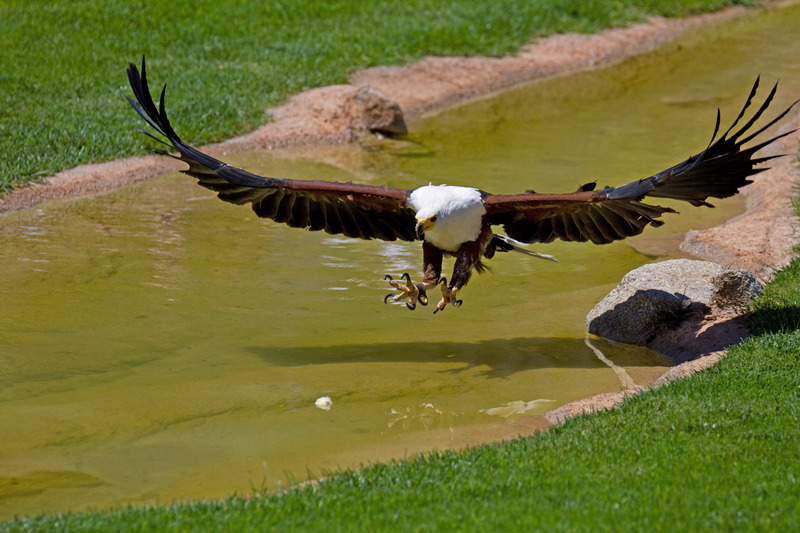 The most spectacular for me is the African Fish Eagle (Haliaeetus vocifer) who swoops in to take a piece of fish from the small stream. Even knowing what is about to happen it is still difficult to catch the birds at the moment of the catch. 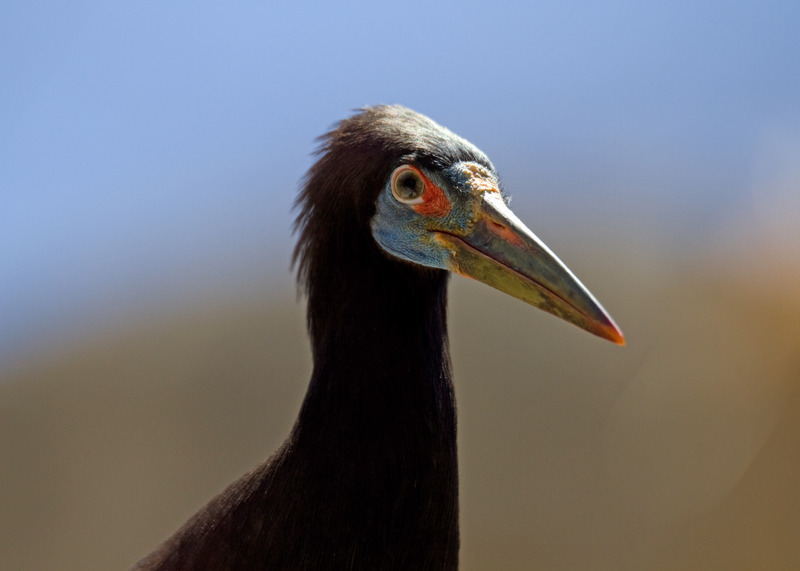 These birds are found throughout sub Saharan Africa and must make an impressive sight in the wild. 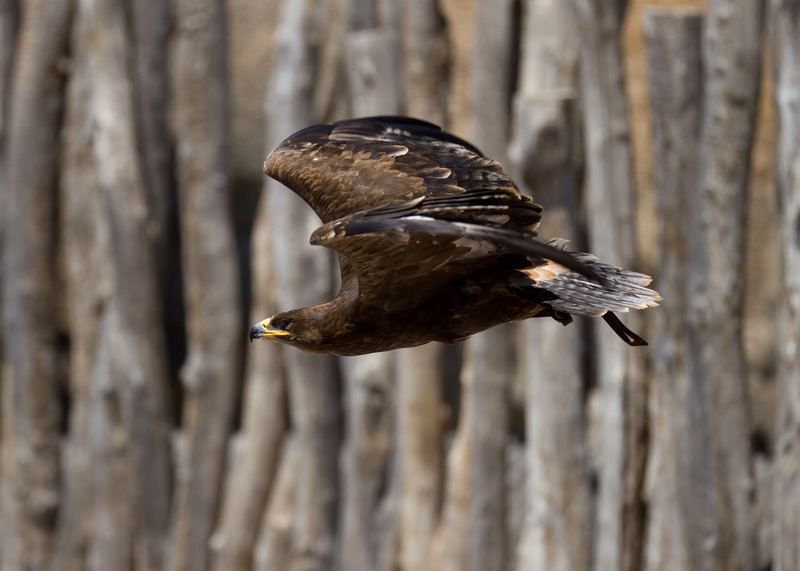 They grow to around 3.5kg with a wingspan of up to 2.5m, the female being larger than the male. 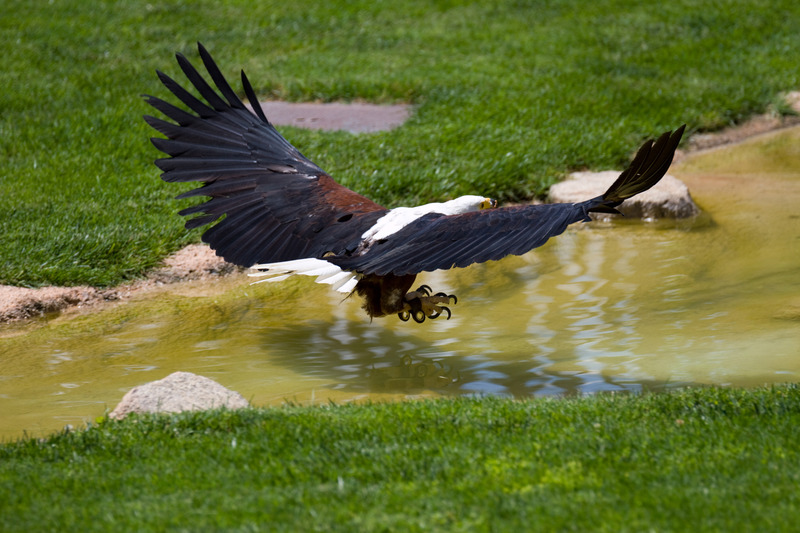 The African fish eagle feeds mainly on fish, which it will swoop down upon from a perch in a tree, snatching the prey from the water with its large clawed talons. 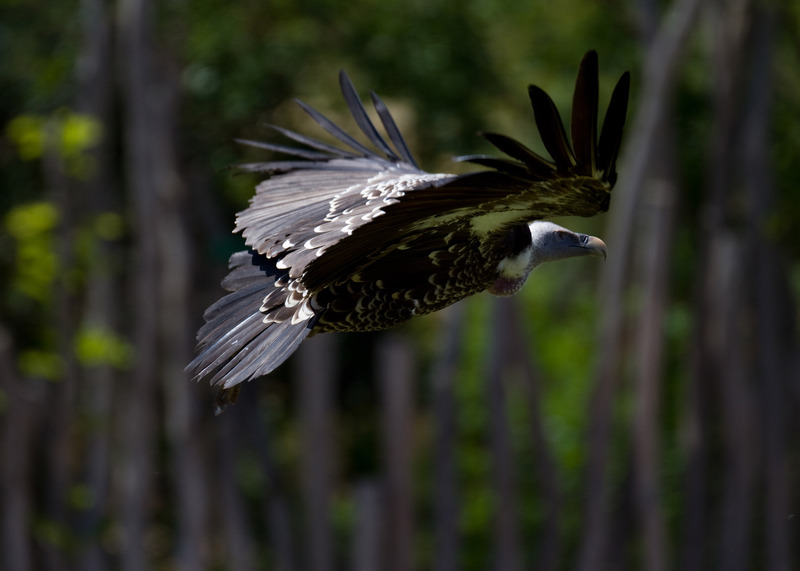 The eagle will then fly back to its perch to eat its catch. 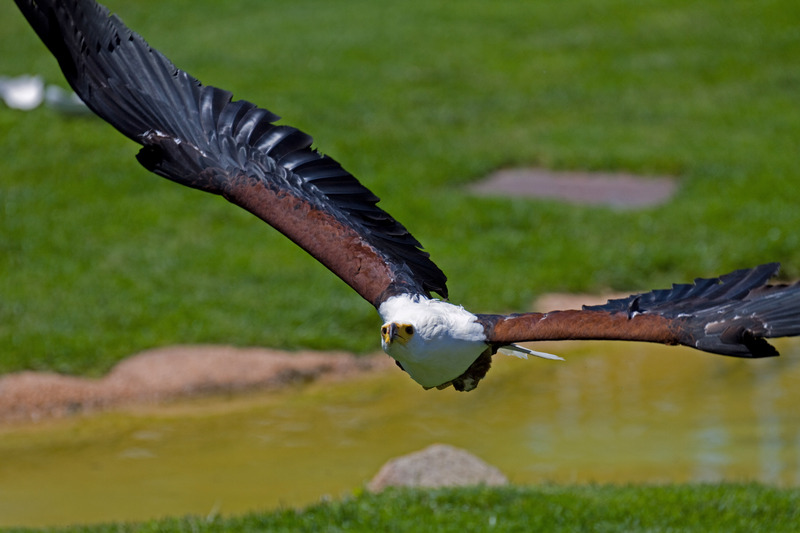 Should the African fish eagle catch a fish over 1.8 kg (4 pounds) it will be too heavy to allow the eagle to get lift, so it will instead drag the fish across the surface of the water until it reaches the shore. If it catches a fish that is too heavy to even allow the eagle to sustain flight, it will drop into the water and paddle to the nearest shore with its wings. 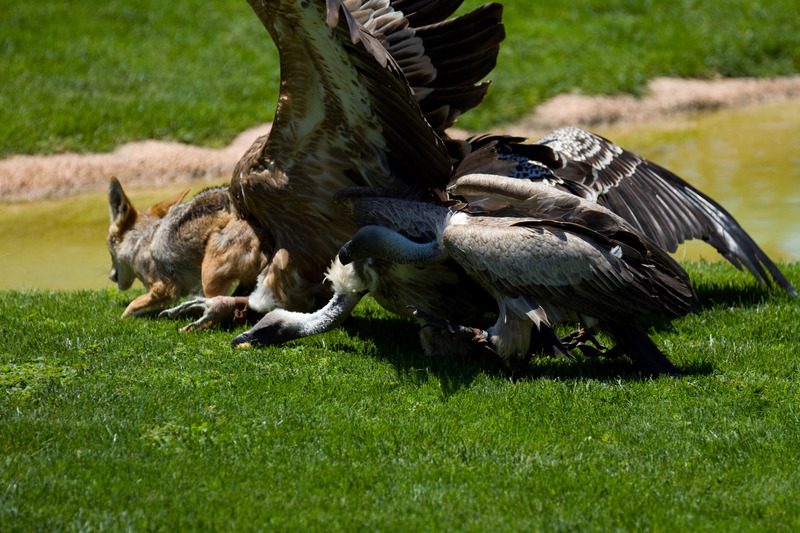 A display of various Vultures followed with them squabbling over food as it is thrown into the arena. At one point the Jackal comes in to join the fight. 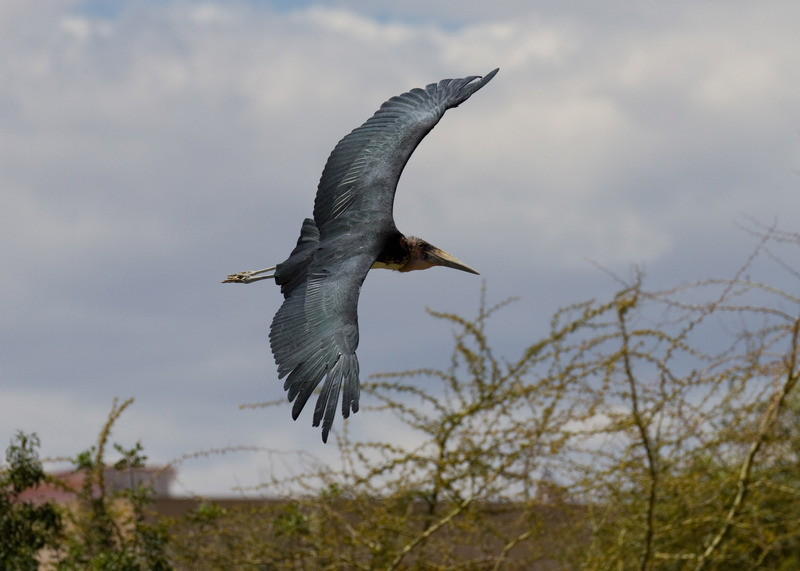 Finally the skies are opened up to the enormous Marabou who soar magnificently around the arena. 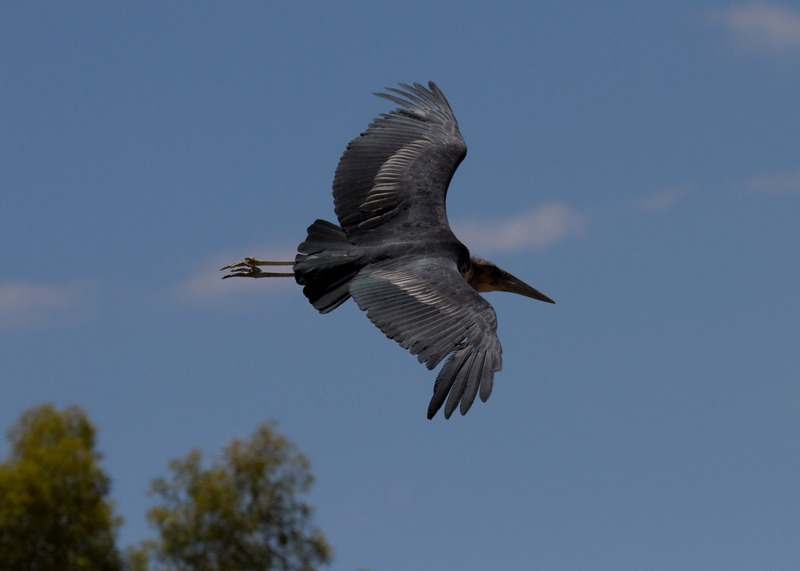 In truth these are quite ugly birds but when flying they are impressive with one of the largest wingspans of any bird. At nearly 4m, (13ft) wide this is massive. I have had to reduce the quality and size of photos that I upload as I am beginning to run out of space on this site. I will need to delete some soon to make room for new ones but hopefully this will not spoil the experience for readers. 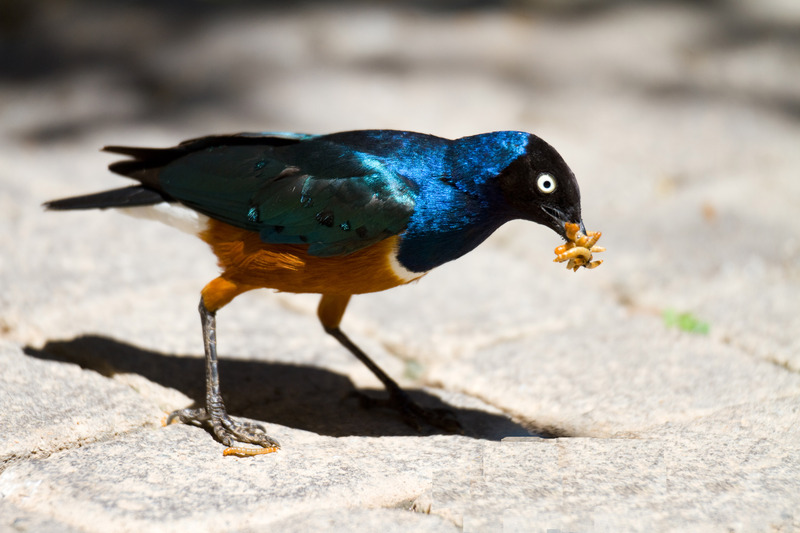 There are too many birds to talk about in one post, so I will continue with this theme in my next posting.